My first quilt finished and now on show at the Bloggers' Quilt Festival. I previously blogged here about the making of it. The pattern is over in the Moda Bake Shop and it is by Lynne of Lily's Quilts. I decided to machine the binding and I was very happy it worked first time as I used this tutorial from Red Pepper Quilts. 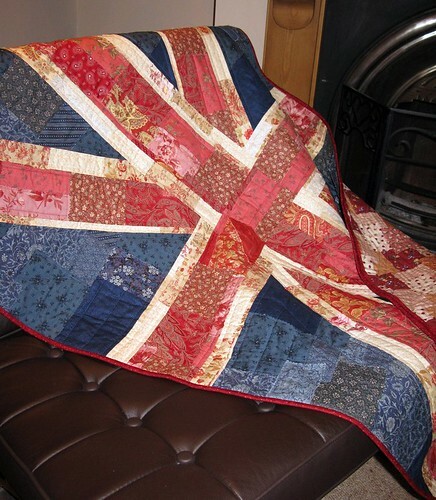 As I used some donated scraps I do not know what fabric it is made from, except there is some French General Rouenneries in there, so if you want to play i spy, then please let me know what you can see. The pattern requires large pieces of newspaper to be covered in fabric and then stitched to the paper. I thought this was a fantastic idea and I sacrificed my souvenir copy of the Royal Wedding as it was the largest paper I had. looks brilliant Indianna! good to hear the machine binding went well not tried machine binding on anything other than a mug rug so far. Beautiful, but bye bye Will and Kate picture. Fantastic! 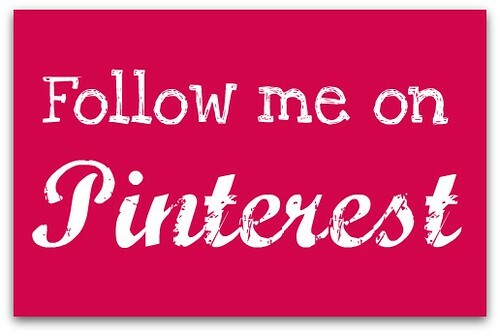 I have not seen this pattern, but I will have to go check it out now! 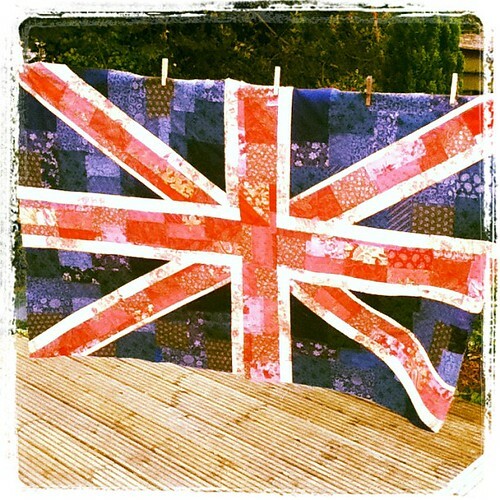 You did an amazing job with your union jack. 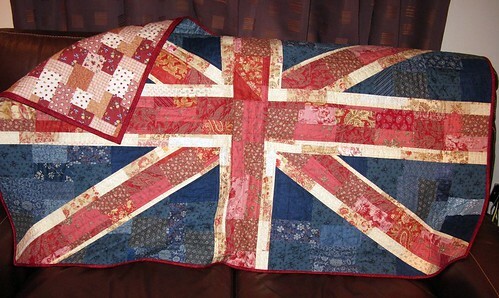 Your patchwork is very nice and a great looking union jack block! Woo hoo - can't escape now ! I love that quilt, it is really beautiful. 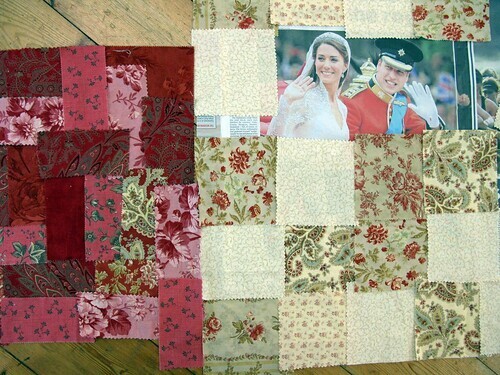 I have been looking at making quilts out of scraps... so great inspiration for me!